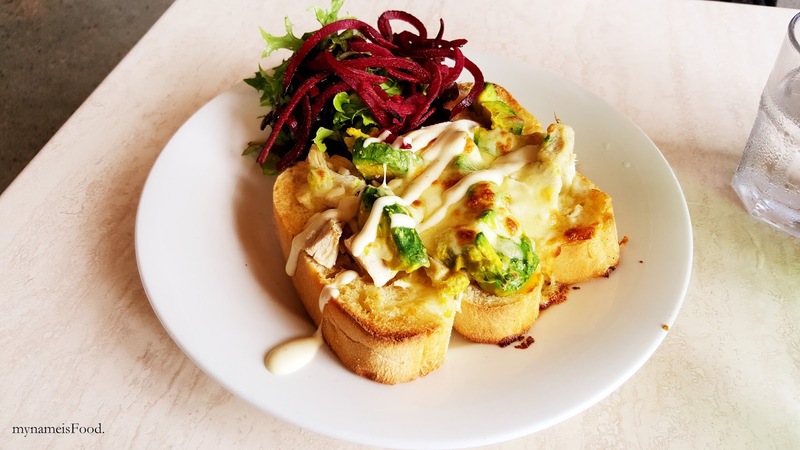 Having brunch or breakfast in Scuzi may be a good place to go to if you are up for cafe food and somewhere easy and nearby. There are a wide range of options to choose from but then, some may be a better choice and worth than others. We weren't too hungry hence why we ended up just buying a light meal while we chatted away. 'Polikota' ($14.95) which is one of their Open Grills options grilled on a fresh baguette. This had marinated chicken, avocado, aioli and cheese and a simple side salad on the side. What made me worry was that the bread itself at the bottom of the topping didn't seem to be a baguette but more of a ciabatta bread. 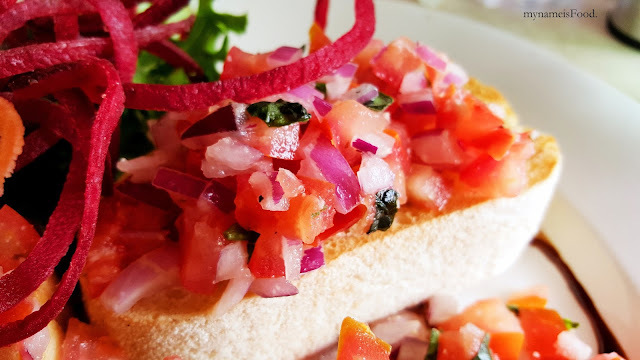 'Bruschetta' ($6.95) is toasted ciabatta served with diced tomato, spanish onion, fresh basil and balsamic oil. 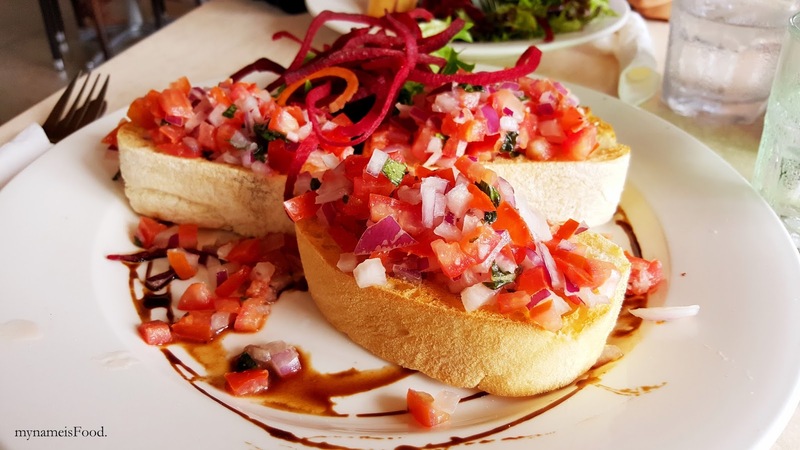 Bruschetta is a familiar dish I have had to dish up numerous times when I was working in an Italian restaurant. 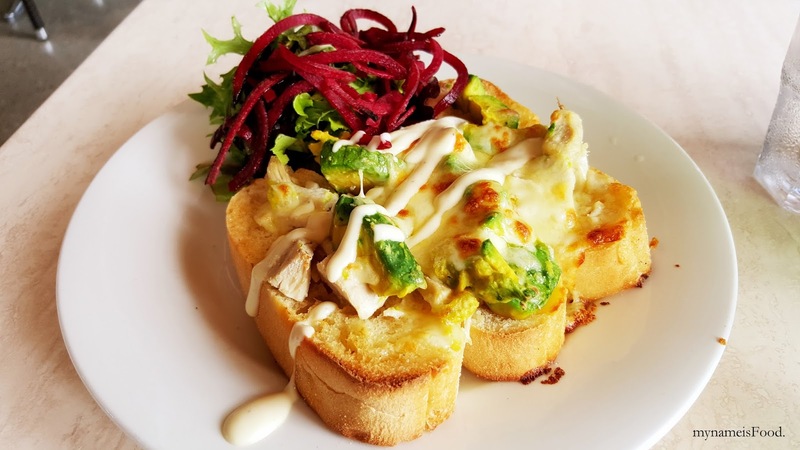 It was nice to see that the ciabatta toast slices were quite thick and that a simple side salad was placed on the side. 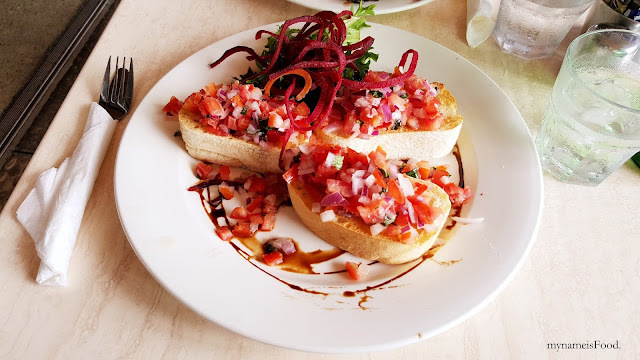 The bruschetta was simple and refreshing to eat however it did lack that balsamic oil taste as it only had mostly of the zing from the raw red onion. The balsamic oil was only drizzled around the whole plate but not on the bruschetta at all. 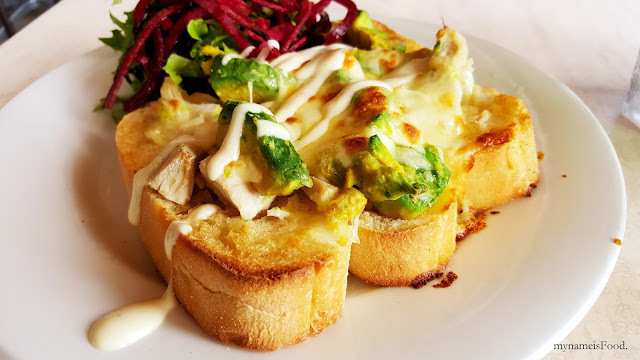 Although it was an okay light meal to have, it was very hard to eat as everytime you do pick up a slice of bruschetta, all of the toppings do fall off and onto the plate which makes you have to pick it up or scoop it off with a spoon.